It was back in January we took a look at the 74 candidates for new emoji that could be included in the upcoming Unicode 9.0 release. Although we had a feeling most would be added, nothing was finalized… until now. Every so often, the folks at the Unicode Technical Committee (UTC) meet and decide the fate of emoji that will eventually make it to our devices. 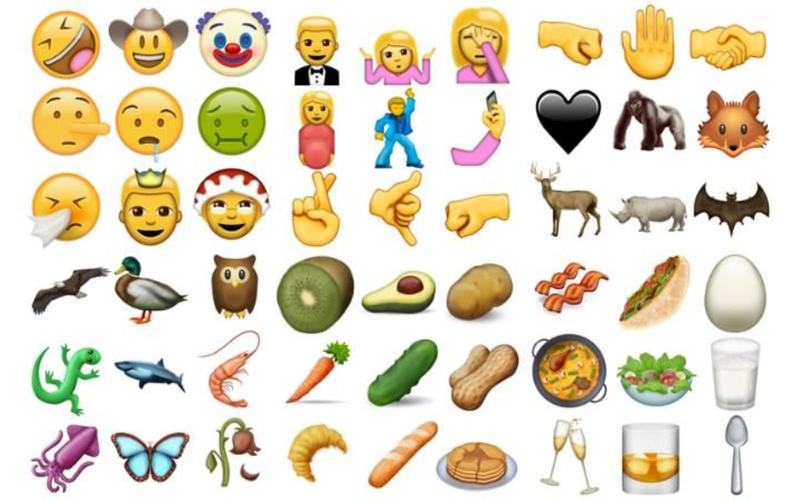 It was back in January we took a look at the 74 candidates for new emoji that could be included in the upcoming Unicode 9.0 release. At the 2016Q2 UTC meeting, the committee approved of 72 new emoji that will eventually make their way to Android and iOS later this year. Among them, a few of our favorites include rolling on the floor laughing, face palm, selfie, a gorilla (RIP Harambe), avocado, Chinese takeout, and tons more. Even if the emoji aren’t yet supported on a system level for whatever device you have, apps like Facebook Messenger or WhatsApp still have the ability to add these new emoji in a quick update, but they’d stuck inside those specific apps. Of course, this is generally where you’d be using emoji in the first place, so it’s nice. The benefit of system wide support of new emoji is they’ll be accessible everywhere on your phone, regardless of the app you’re using. This ensures you never have to see the dreaded black box when receiving an unsupported emoji, and you can use them in contact names, creating folders, or anywhere else on the phone. Last month, Google proposed adding 13 new emoji to better highlight diversity by using female versions of popular careers. Those won’t be coming in the new Unicode 9.0 emoji, but it’s possible we could see them added in the future (Facebook actually added these in their big Messenger emoji update).